The above info came from Who Wants to Know?, and was edited by yours truly (contact me). The image came from Anime Wallpapers.com. Twenty years later, Lucifer Hawk is attempting to undo the progress made by Project Gaia, but there is now a special police force dedicated to stopping supernatural forces: the Attacked Mystification Police (AMP). But when the AMP crosses paths with Katsumi Liqueur, a young woman visiting Japan from Hawaii, the gears begin turning to a final conflict with the forces of Nemesis. 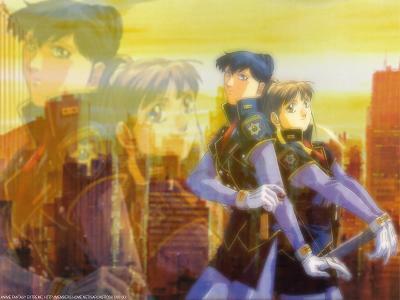 The two Silent Möbius movies follow Katsumi's early encounters with Lucifer Hawk and the AMP. The TV series continues the story, with Katsumi now enrolled in the AMP, and gives more insight into the story of this future Tokyo and the lives of the members of the AMP. 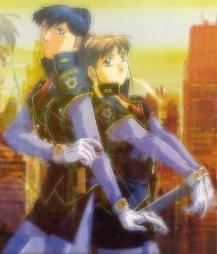 Silent Möbius is based on the manga by Kia Asamiya, who is probably better known for Martian Successor Nadesico .